PURE PERFORMANCE® Interior Latex Primer is our premium low-odor, zero-VOC** (volatile organic compounds) primer, designed to meet the performance requirements of the institutional, commercial and residential markets. 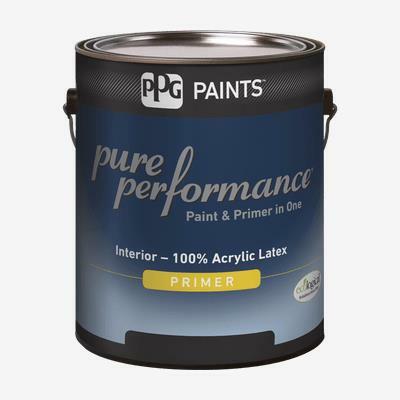 PURE PERFORMANCE® Interior Latex Primer is formulated to provide excellent sealing, hiding and application with low-odor and zero-VOC** properties. Ideal for use in occupied areas such as: hotel/motel resort properties, nursing homes, homes, schools, government facilities, retail space, office buildings, hospitals, and apartments.